Eschelon dedicates four months of the year to give back to our core nonprofit partners. We ask our guests to come alongside the restaurants in supporting these amazing causes by adding $1 (or more) to their bill. 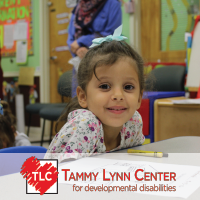 Our goal for October: raise $10,000 for Tammy Lynn Center for Developmental Disabilities. October 2016 is an Eschelon “Month of Giving” to support Tammy Lynn Center. Each dollar our guests give while dining at Mura, Edwards Mill Bar and Grill, Cameron Bar and Grill, and Basan will be matched by Mako Medical Laboratories—up to $2,500! 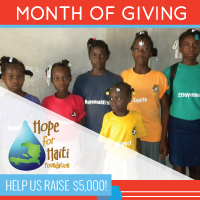 July 2016 Month of Giving- Hope For Haiti! Eschelon dedicates four months of the year to give back to our core nonprofit partners. We ask our guests to come alongside the restaurants in supporting these amazing causes by adding $1 (or more) to their bill. July 2016 is an Eschelon “Month of Giving” to support Hope for Haiti Foundation, and each dollar our guests give (up to $2,500) will be matched by Mako Medical Laboratories. Our team and Band Together are partnering together all April-long, so lets raise our glasses for another Eschelon Experiences “Month of Giving”! Our goal: Raise $10k and show Band Together how much Raleigh loves to ‘amplify change’! Band Together’s Mission: Using live music as a platform for social change. September 11, 2001. More than a decade later, and thanks to the tireless efforts of thousands of volunteers, generous corporate and individual sponsors, dedicated board members and the generosity of our community, Band Together has risen to be a powerful partner to nonprofits in the Triangle Area. Our team and Raleigh City Farm are partnering together all February-long, so bring in your shovels for yet another Eschelon Experiences “Month of Giving”! 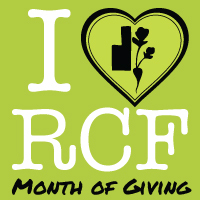 Our goal: Raise $10k and show RCF how much Raleigh loves the Farm! 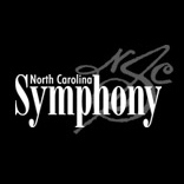 We are happy to announce that we will be pairing with The North Carolina Symphony in a social media contest giveaway! Items in the contest include 2 tickets to The North Carolina Symphony and a $50 gift card to one of our restaurants.